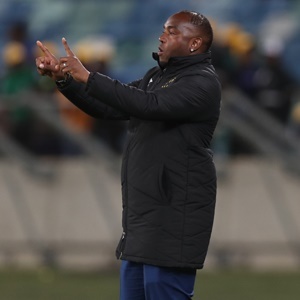 Cape Town - Cape Town City fought back to earn a 1-1 draw with Premiership leaders Baroka FC at a cold and wet Cape Town Stadium on Tuesday evening. The game got off to a lively start under cold and wet conditions in the Mother City and it was the visitors who made an especially bright start as they showed good intent. But apart from a Sipho Moeti shot on 10 minutes which went wide, they failed to threaten Sage Stephens' goal. A good run by Teko Modise created a chance for City after 18 minutes, but Letsie Koapeng also missed the target. The remainder of the half saw the teams evenly matched, with City having a couple of corner kicks, while Baroka looked good in possession but failed to spark up front. Bakgaga came out firing after the restart and had two chances in quick succession through Robin Ngalande and Siphelele Ntshangase. And it was Ngalande who gave them the lead, the former Bidvest Wits man converting after Ntshangase had created the opening. But their lead was only to last 14 minutes as the Citizens levelled matters when Lyle Lakay's excellent cross located Martin to slot into the net. Benni McCarthy's side pushed for a winner, but Roland Putsche headed wide before Martin wasted a great chance in added time as Baroka held onto their place at the top of the table.